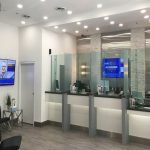 Bitcoin Press Release: The cryptocurrency CloakCoin has undergone a major overhaul and reconstruction in order to serve better today’s need for a totally secure and long term anonymous digital payment system. Launched on 3rd of June 2014, CloakCoin achieved a market cap of more than 5 Million USD. Within a matter of months, the price began to rapidly fall due to lack of delivery of promised features and was pumped on empty promises and crashed once the fraud became apparent, dropping to extremely low levels after attaining a market cap of more than 5 Million USD. From the ashes some loyal members of the community picked up the debris and transformed it finally into a promising project. After substantial development the project has passed an interesting and very important milestone. 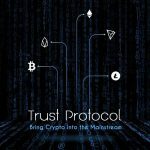 The recent release of the CloakCoin wallet has enabled trustless anonymous transactions without the need of master nodes or any other centralized infrastructure. Block verification (PoS) and the processing of anonymous transactions is decentralized and based on a pure p2p environment. The blockchain is not ‘polluted’ with custom data or using sidechains as employed by other anonymous coins. As a result of the coin mixing structure which acts like a merry-go-round, it is absolutely impossible for any observer to determine either the sender or the recipient of transactions. Reverse engineering of concluded transactions is impossible and the lack of master keys prevents deciphering of encryption with potentially increased computing power in the future. In order to provide an extra layer of anonymity to market participants, an onion routing system has been implemented, avoiding identification of any users involved in transactions by concealing their communications on the network. 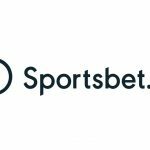 A security audit was released on 28th July 2015 by Ian ‘JonnyBravo’ Craig, a well-regarded developer who suggested some potential improvements. These issues have been addressed and final testing and live transactions have proved the stability of the system. The new CloakCoin comes with a completely remodeled code base including new features and major upgrades. 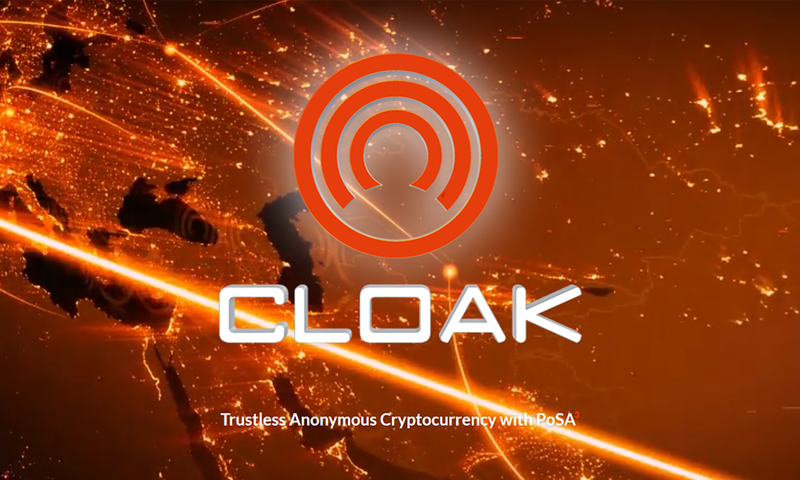 The new CloakCoin uses state-of-the-art Proof of Stake Anonymous Version 3 (PoSA3) distributed consensus protocol, along with X13 algorithm for speedy transaction confirmations. The use of Proof of Stake protocol offers added benefits in terms of mining, as it doesn’t require high performance ASIC miners consuming huge amounts of energy. In the case of PoS, the coin avoids centralization and a 51% attack could only be possible with possession of 51% of all coins, rendering the attacker the biggest victim. 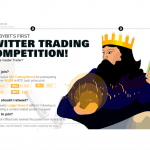 There is no future deadline when the last coin can be mined and miners will not lose interest due to diminishing rewards. Users with open and unlocked-for-staking wallets will earn 6% p.a. on their balance. Says Cashmen, the leading member of Cloak community while explaining about the changes made to the platform. Bitcoin is the first and the most successful (yet not perfect) cryptocurrency that has gained worldwide acceptance and adoption. CloakCoin was developed to fill the shortcomings of Bitcoin by adding several features much desired by the cryptocurrency communities. The main difference between CloakCoin and Bitcoin is the level of anonymity offered by these digital currencies. Bitcoin is pseudonymous at best, making it still possible for third parties to access transaction data in the blockchain. The block generation time with CloakCoin is around 60 seconds compared to 10+ minutes with the Bitcoin protocol, thereby allowing the network to process large numbers of transactions in less time. 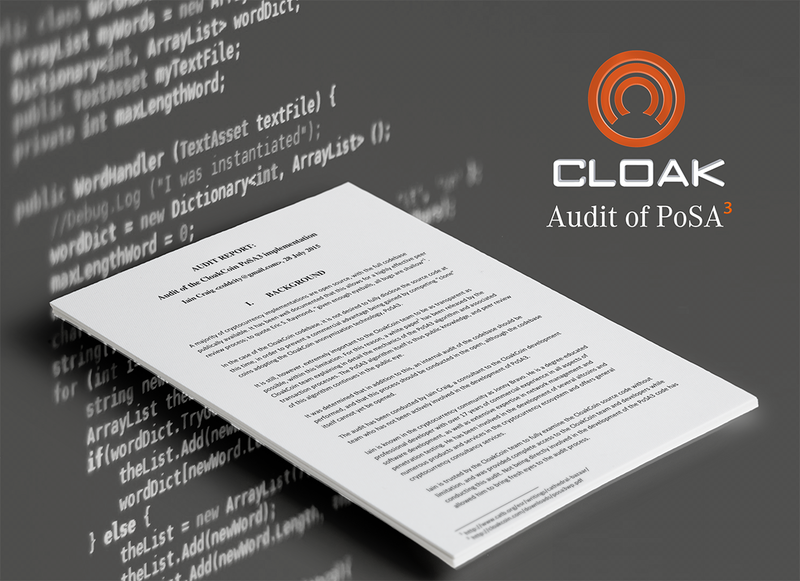 CloakCoin is a truly anonymous cryptocurrency with PoSA3 consensus protocol. The Cloak Shield infrastructure provides additional security to the CloakCoin network by making use of ECDH protocol to establish a secure shared connection between two parties for communication. During a PoSA send, the mixer nodes provide extra inputs and outputs to the transaction in order to ‘cloak’ the real sender and receiver, making it impossible to determine who sent funds to whom. While the parties involved in the transaction benefit from the added security, the mixers enabling the transactions share 1.8 percent of the transaction value (transmission fee) among themselves. CloakCoin offers educational resources to the community through Cloak TV, the official YouTube channel of CloakCoin. The CloakCoin developers are working on creating a place where the Cloak community can spend their CloakCoins. CloakCoin’s own marketplace called OneMarket, currently under development. Those interested in investing in CloakCoin can do so on Bittrex, LiveCoin, Cryptopia, Yobit or Litebit cryptocurrency exchanges. CloakCoin is a trustless anonymous cryptocurrency first created in mid-2014. Over a period of time and after a few ups and downs, the entire code base of CloakCoin has been reworked by Cashmen and his team of developers to create a much improved version of its former-self. With a major code revamp, enhanced security features, wallets, block explorer and marketplace, CloakCoin addresses a number of concerns related to Bitcoin. CloakCoin is the source of this content. 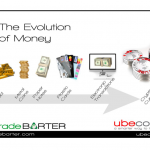 Virtual currency is not legal tender, is not backed by the government, and accounts and value balances are not subject to FDIC and other consumer protections. This press release is for informational purposes only. The information does not constitute investment advice or an offer to invest.